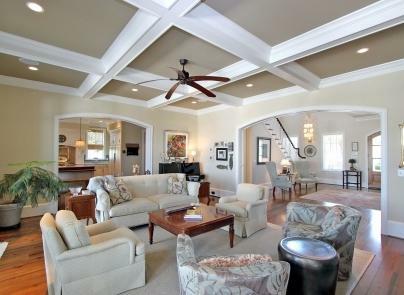 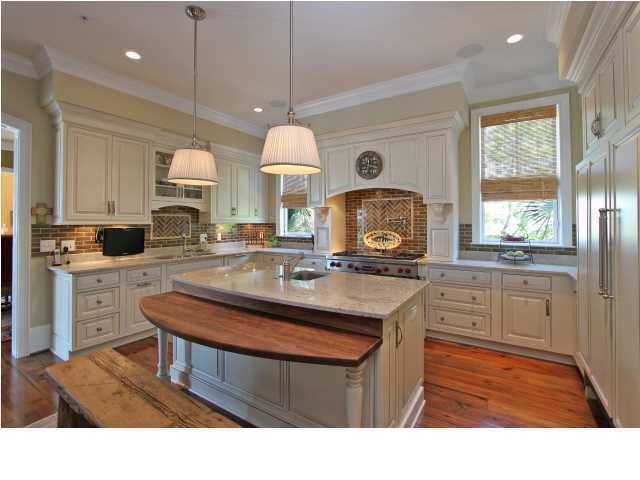 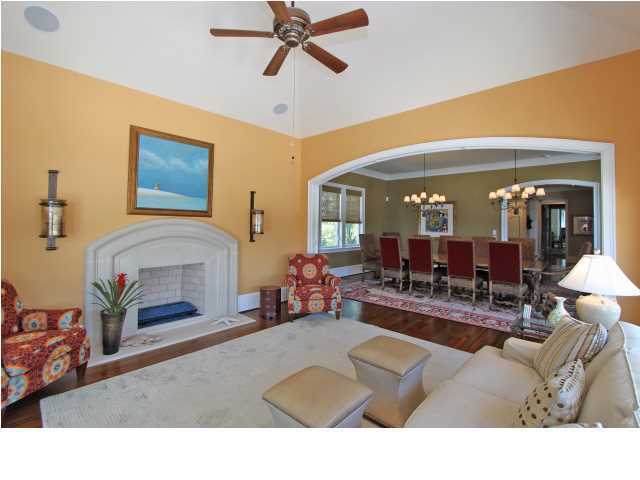 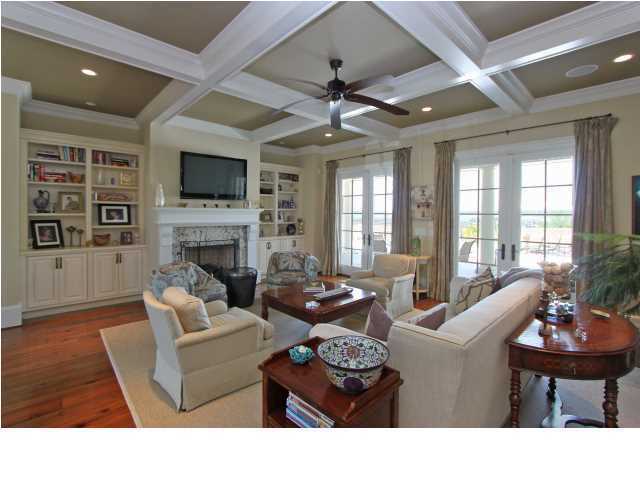 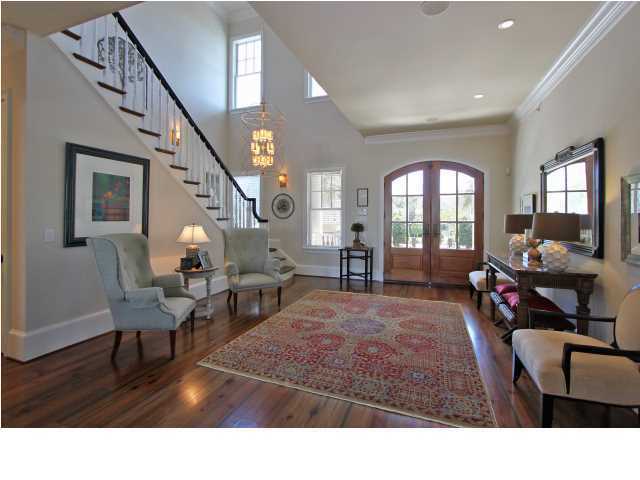 COFFERED CEILING AND BUILT-IN CABINETS WITH FIRE PLACE OVERLOOKS THE GORGEOUS OUTDOOR VISTA. 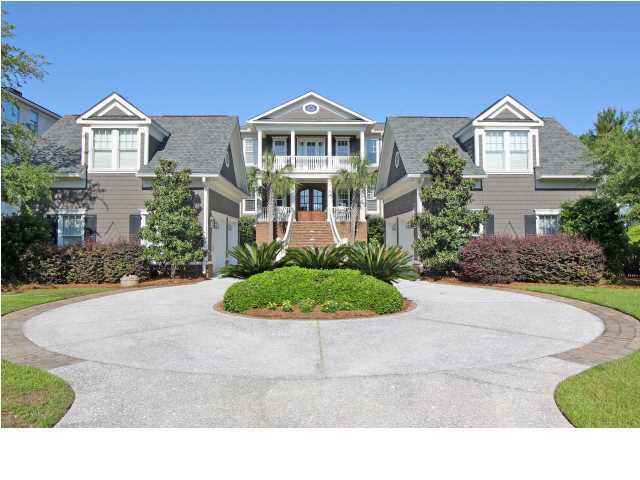 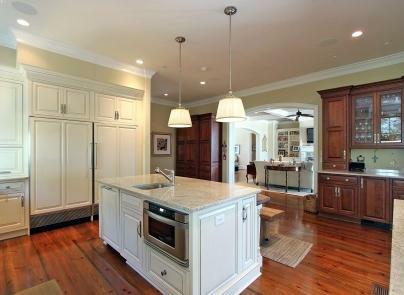 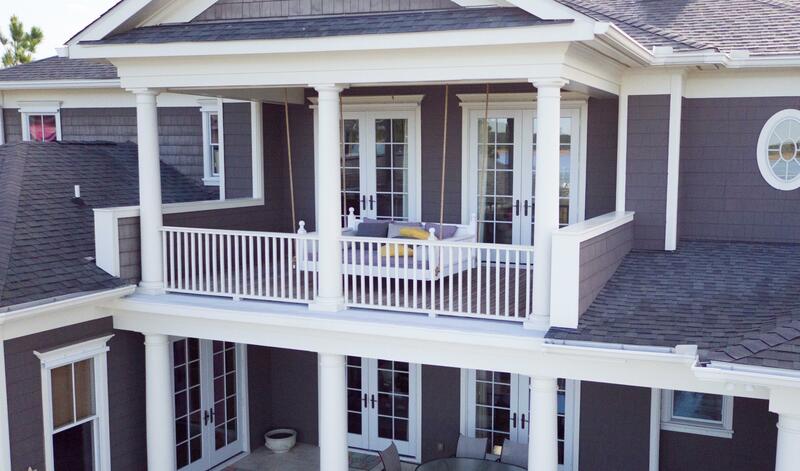 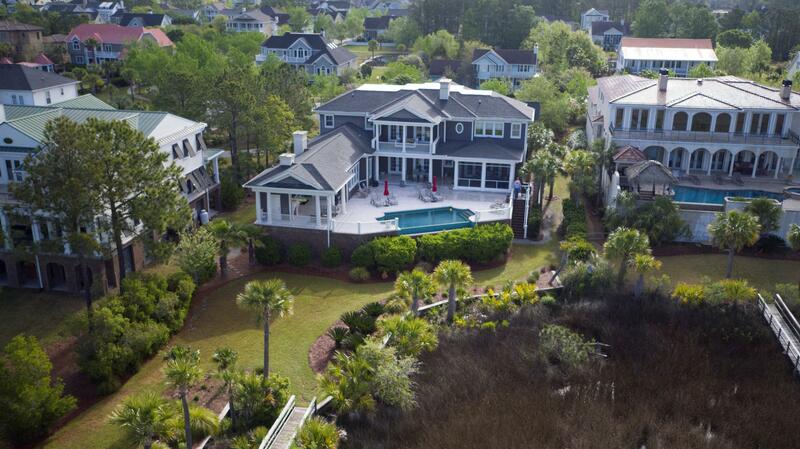 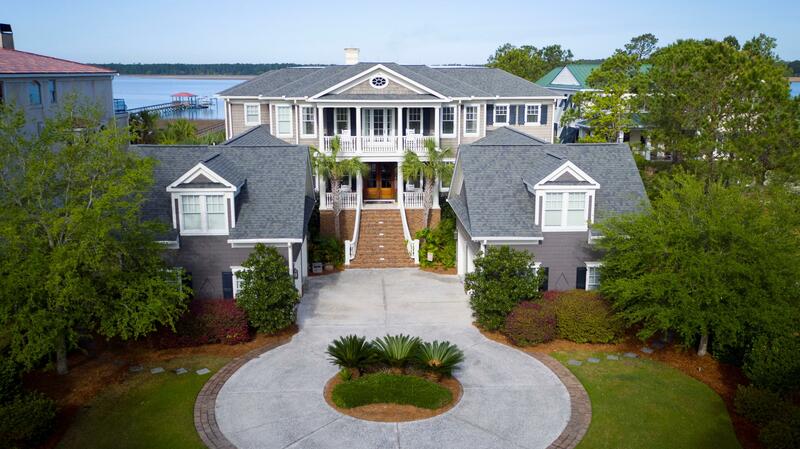 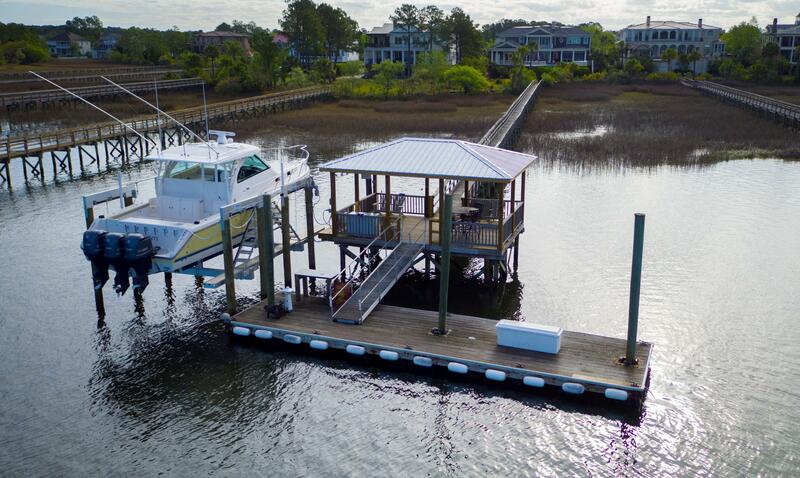 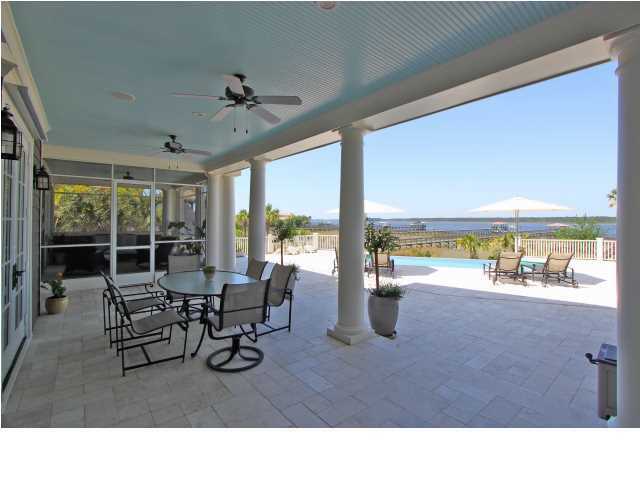 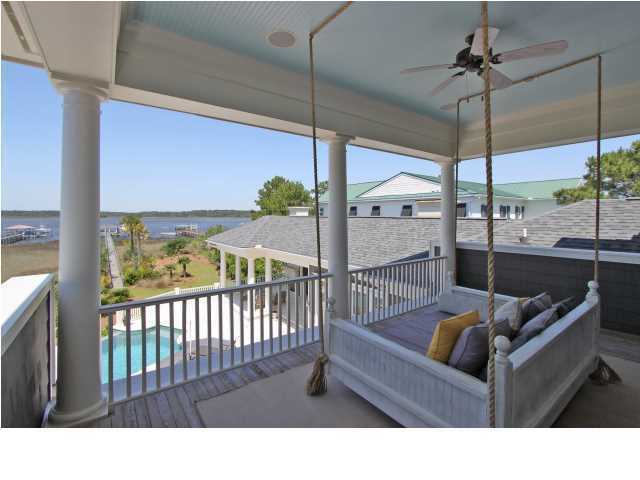 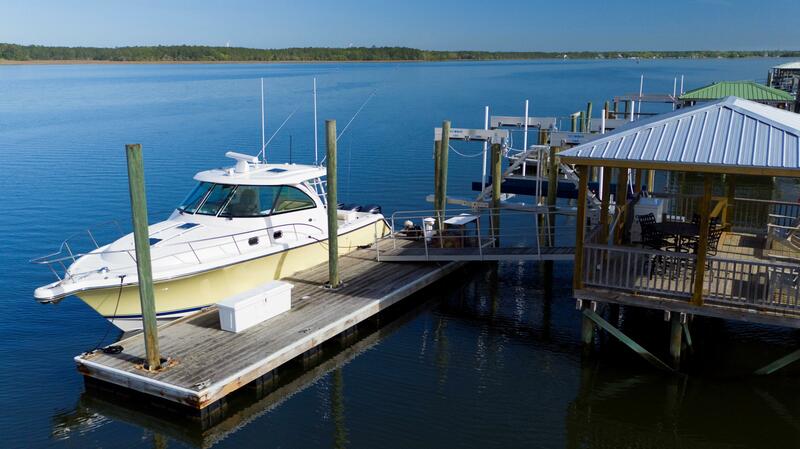 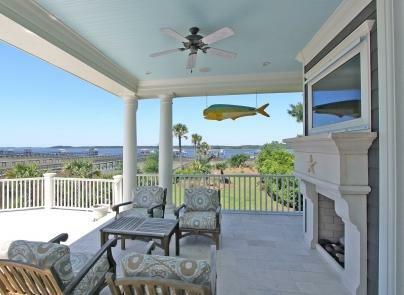 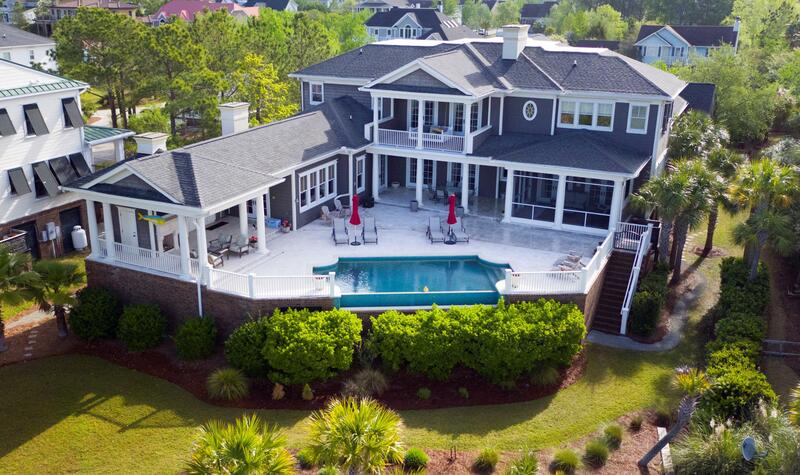 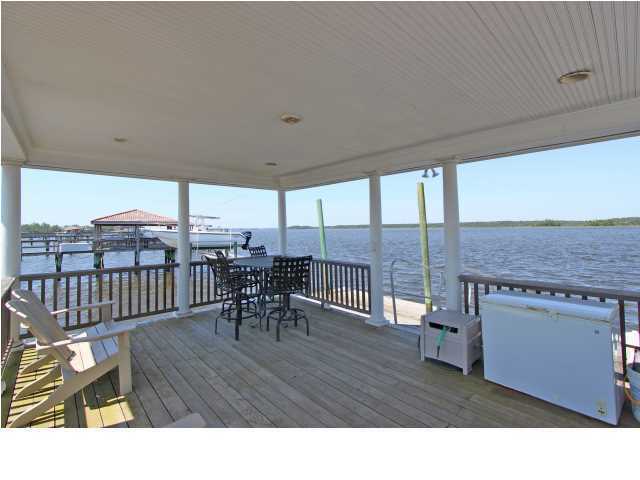 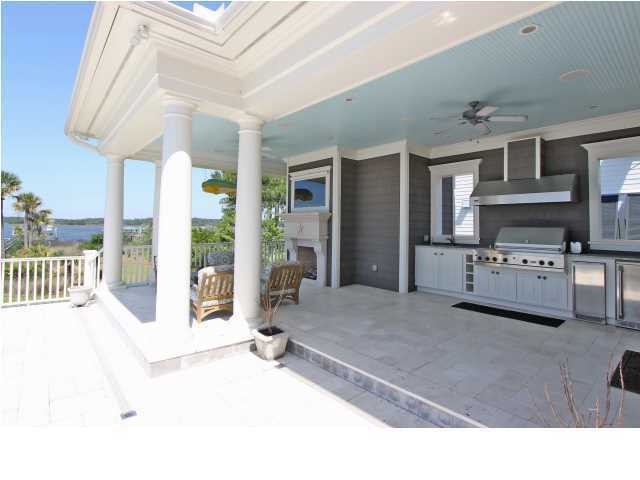 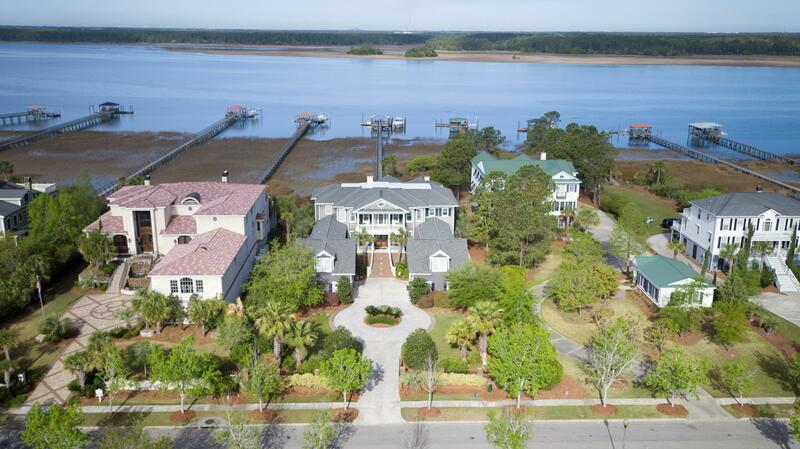 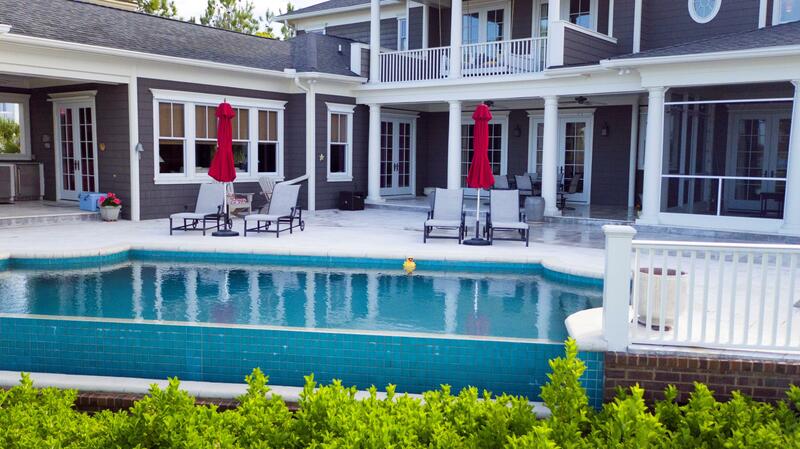 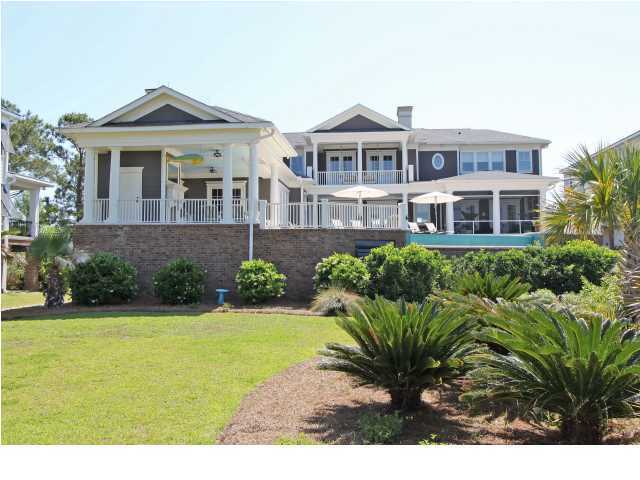 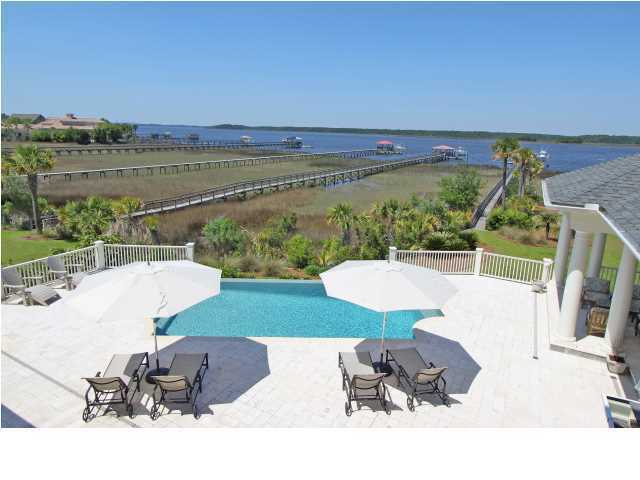 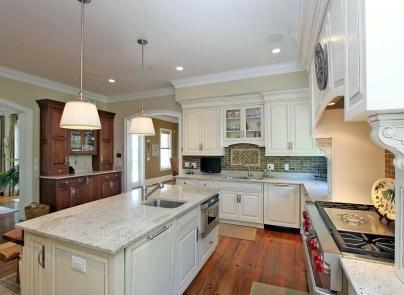 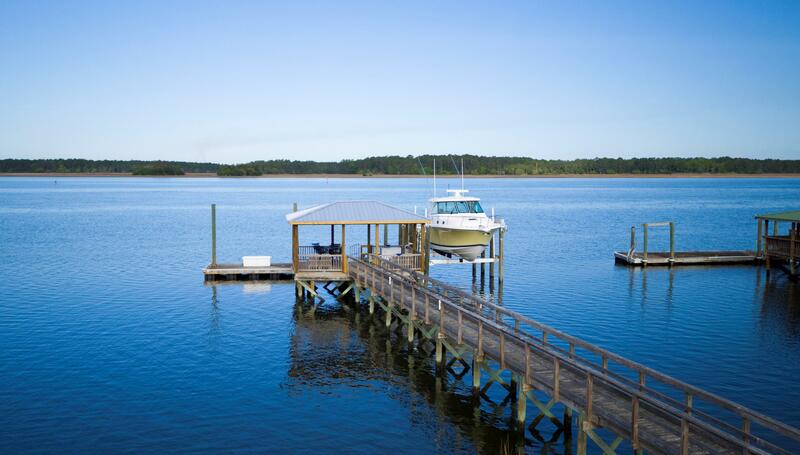 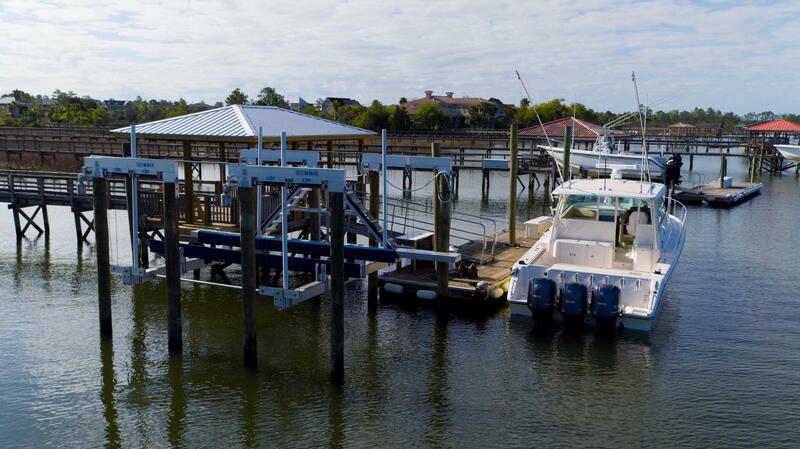 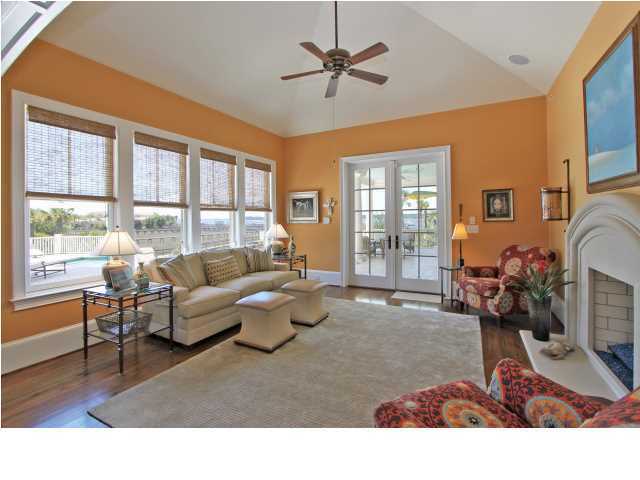 JUST A STEP OUTSIDE IS THE OUTDOOR KITCHEN AND POOL AREA OVERLOOKING THE WANDO RIVER. 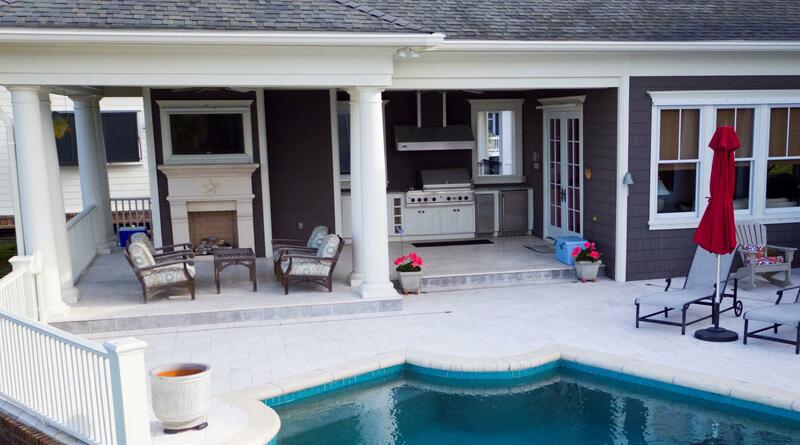 COMPLETE WITH VIKING GRILL, REFRIGERATOR, ICEMAKER AND OUTDOOR SINK, YOU CAN PREPARE FRESH DISHES WHILE SPENDING TIME WITH FAMILY AND FRIENDS IN THE INFINITY POOL, OR RELAXING IN FRONT OF THE OUTDOOR FIRE PLACE. 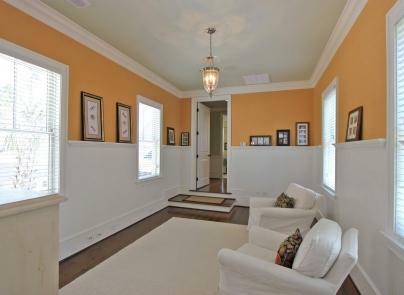 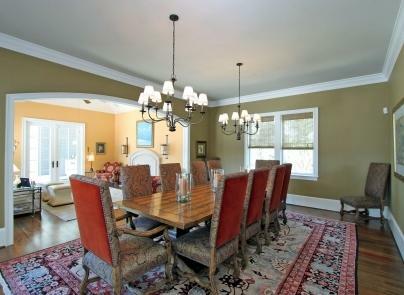 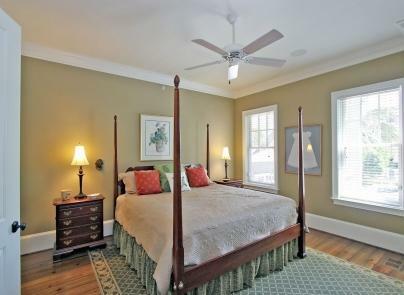 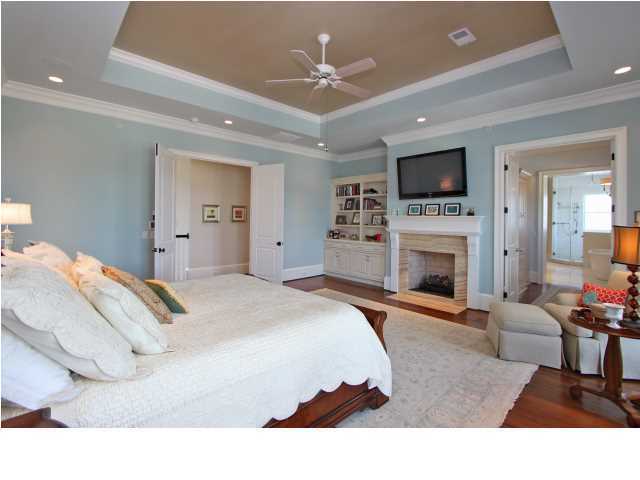 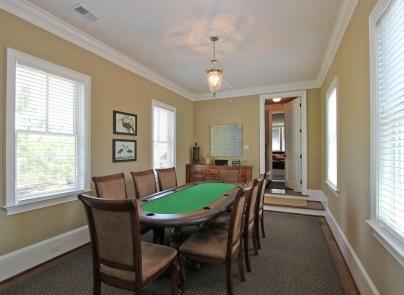 UPSTAIRS YOU WILL FIND THREE OF THE FIVE BEDROOMS, INCLUDING THE MASTER SUITE. 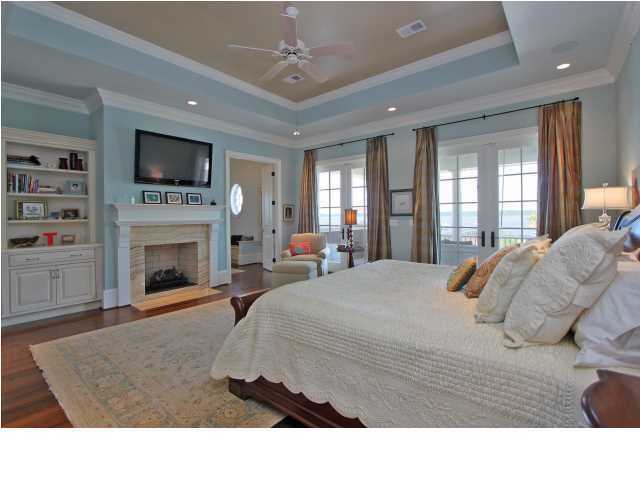 THE MASTER SUITE IS AN EXQUISITE RETREAT, WITH MARBLE FIRE PLACE, BUILT-IN CABINETS AND ACCESS TO A PORCH OVERLOOKING THE POOL AND RIVER. 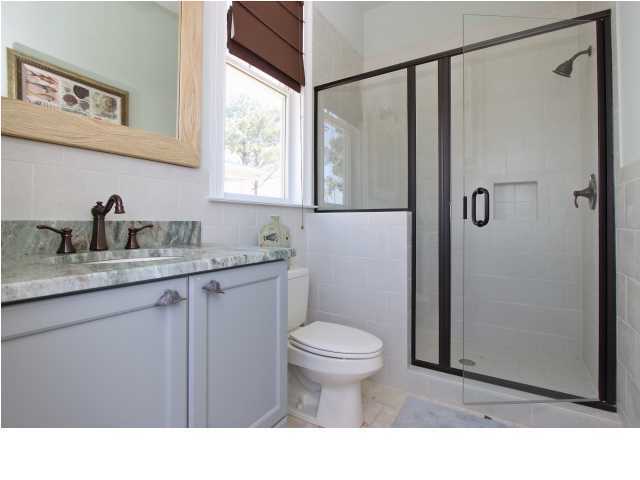 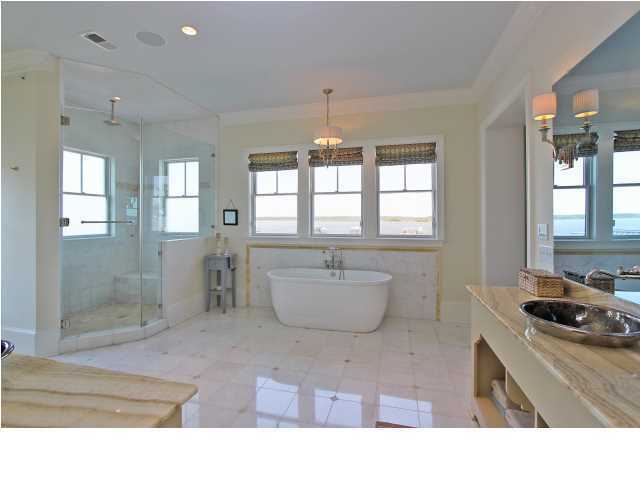 THE MASTER BATH IS FINISHED IN HONEY ONYX AND WHITE MARBLE AND HAS HIS AND HERS VANITIES WITH A TV BEHIND HIS MIRROR AND A DRESSING TABLE AT HERS PLUS A SOAKING TUB AND LARGE WALK-IN SHOWER. 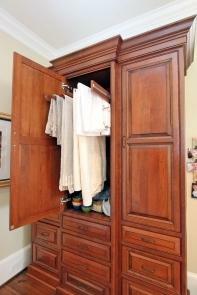 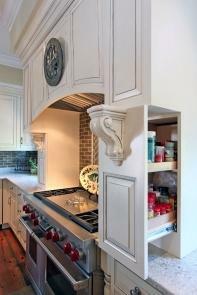 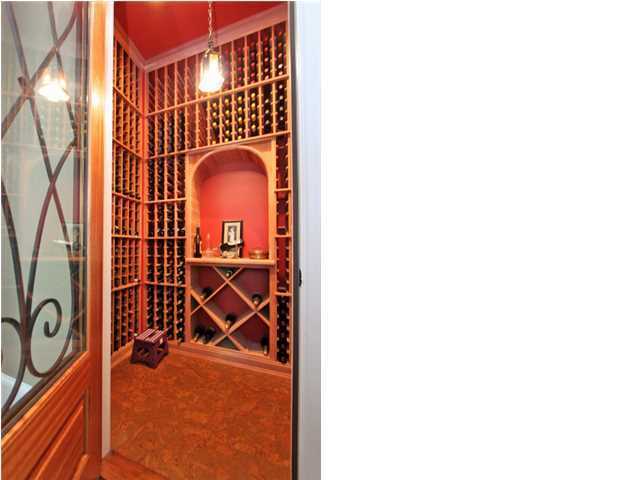 THE MASTER CLOSET IS AN ORGANIZATIONAL DREAM WITH CUSTOM CABINETS. 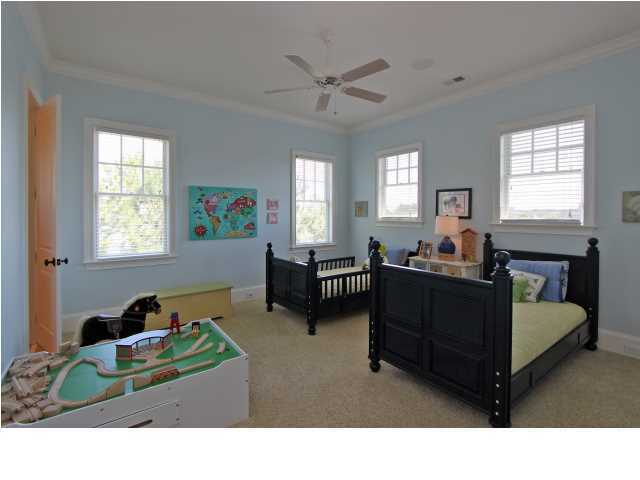 THE TWO OTHER SUITES UPSTAIRS INCLUDE PRIVATE BATHS AND WALK-IN CLOSETS. 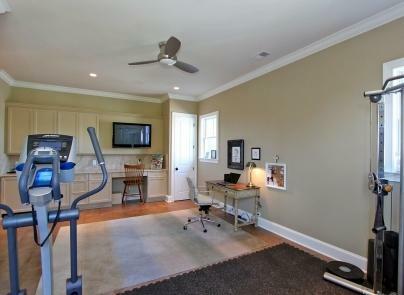 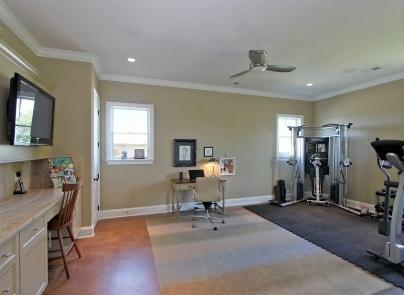 UPSTAIRS YOU'LL ALSO FIND AN EXERCISE ROOM WITH REINFORCED FLOOR TO SUPPORT EXERCISE EQUIPMENT. 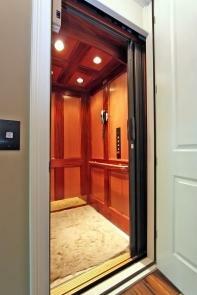 THE FIFTH SUITE, DOWNSTAIRS, IS HANDICAP ACCESSIBLE. 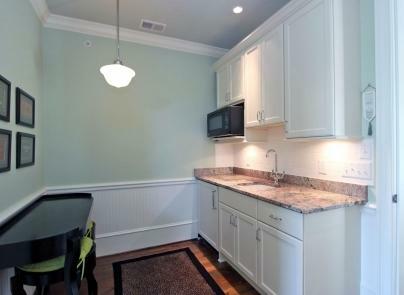 THE PERFECT GUEST APARTMENT, ALSO ON THE MAIN FLOOR, HAS A PRIVATE BATH, SITTING ROOM AND KITCHENETTE. 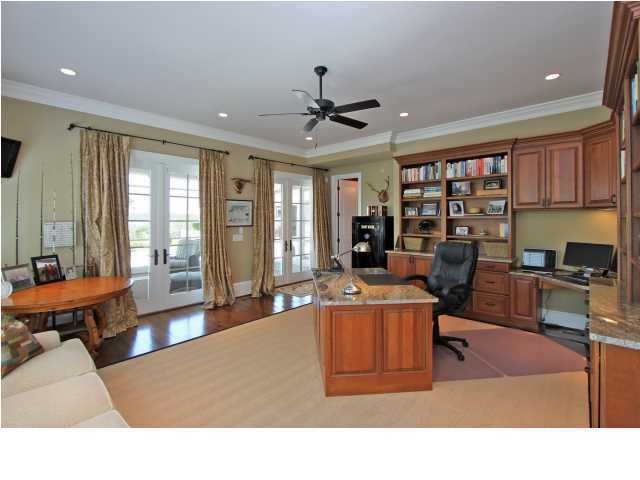 THE DOWNSTAIRS HOME OFFICE HAS BUILT-IN CABINETS AND A PRIVATE BATH. 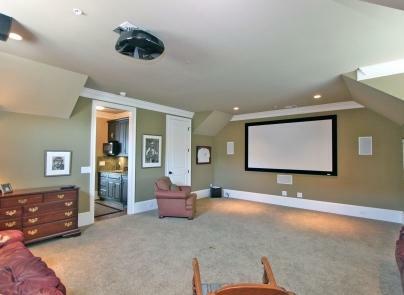 THE MAIN FLOOR ALSO FEATURES A MEDIA ROOM, AND 1,000 BOTTLE WINE ROOM WITH CORK FLOOR AND TEMPERATURE CONTROL. 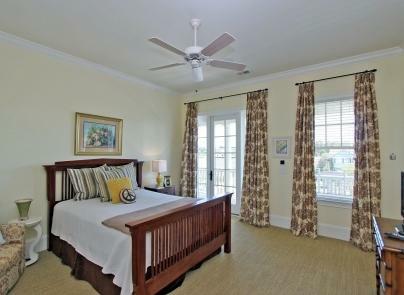 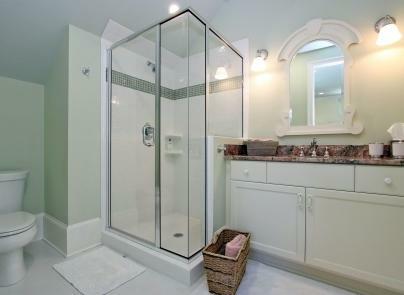 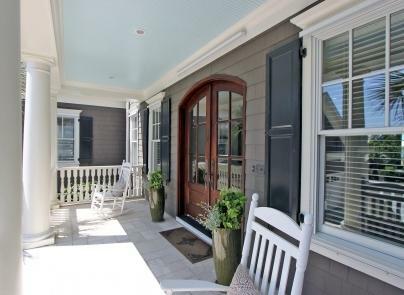 THE HOME COMES WITH MUHLER HURRICANE STORM PANELS WHICH IS A GREAT FEATURE.